Saya Gold Avenue in Indirapuram, Ghaziabad by Saya Buildcon Consortium Builders is a residential project. The size of the Apartment ranges in between 79.0 sq.ft. and 2370.0 sq.ft. Saya Gold Avenue price ranges from 75.00 Lacs to 1.65 Cr. Saya Gold Avenue offers facilities such as Gymnasium and Lift. This is a RERA registered project with registration number UPRERAPRJ6548. Bank loan approved from HDFC home loans, ICICI, Punjab National Bank, Allahabad Bank, Bank Of Baroda, Yes Bank, AXIS Bank LTD., LIC Housing Finance Ltd., Indiabulls, PNB Housing Finance Limited, Aditya Birla Home Loans and IIFL Home Loans. The project is spread over a total area of 4.95 acres of land. It has 70% of open space. Saya Gold Avenue has a total of 8 towers. The construction is of 41 floors. An accommodation of 1620 units has been provided. Saya Gold Avenue brochure is also available for easy reference. What is the project location?The project is located at Indirapuram, Ghaziabad. What are sizes of apartments in Saya Gold Avenue? The apartment sizes in the project range from 1080.0 sqft to 2370.0 sqft. What is size of 2 bhk in Saya Gold Avenue? 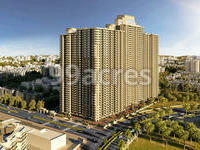 The area of 2 BHK apartments is 1080.0 sqft. What is total area of 3 bhk in Saya Gold Avenue? 3 BHK units in the project are available in a size of 1480.0 sqft to 1795.0 sqft. What is the 4 bedroom size in Saya Gold Avenue? Four-room units (4BHK) in the project are available in an area of 2370.0 sqft. How much is the actual area of Saya Gold Avenue?The area of the project is 4.95 Acres. Sink - Size : 685.50mm x 508.00mm (Diamond and Platinum). Size : 609.60mm x 457.20mm (Silver and Gold). Make : Lotus / Jayna / Jindal or equivalent. Single Bowl Stainless Steel Sink. Internal Wall - Blockwork / Brickwork / RCC, Plastered, Acrylic Emulsion Plastic Paint, Ceramic Tiles upto 2 ft. height above working platform. RO - RO Water Purifier. (Whirlpool / Livpure / ZeroB or equivalent) 7.5 - 8 Ltrs. Wall - RCC Wall and Ms Railing 1200mm high with enamel paint. Floor - 300x300mm ceramic tiles (5% variation in tile size). External Balcony Door - UPVC two track sliding doors with 5mm thick plain glass sliding both sides. Ceiling - Acrylic emulsion plastic paint ( Make : ICI Dulux / Asian / Berger or Equivalent. Door - Door Masonary Opening : 750mm (w) x 2400mm (h). Doorframe - Marandi Wood. Doorframe size : 90mm x 60mm section. Doorframe height : 2400mm. Flush door size - 650mm x 2350mm and 32mm thick. Laminated one side and internal side finish with enamel paint. Accessories : Tower Bolt 6" handle with latch. Ventilator - Masonary Opening : 400x750. Ventilator : UPVC 300mm fix with 5mm thick plain glass and 300mm for provision of exhaust. Internal Wall - Wall Tiles (300x450) (5% variation in tile size) upto 2400 mm. Ceiling - Gypsum Grid False Ceiling at 2400 mm. ht. Main Door - Door Masonary Opening : 1050mm (w) x 2400mm (h). Doorframe - Marandi Wood. Doorframe size : 115mm x 60mm section. Doorframe height : 2400mm. Flush door size - 950mm x 2350mm and 35mm thick. Both sides laminated. Accessories : 10" Mortice Lock and 8" tower bolt. External Balcony Door - UPVC Door Frame Size : 55mm x 55mm. Door ht. 2400mm. UPVC two track sliding doors with 5mm thick plain glass, sliding both sides. External Balcony Door - UPVC door frame size : 55mm x 55mm. UPVC two track sliding doors with 5mm thick plain glass, sliding both sides. Door - Door Masonary Opening : 900mm (w) x 2400mm (h). Doorframe - Marandi Wood. Doorframe size : 90mm x 60mm section. Doorframe height : 2400mm. Flush door size - 800mm x 2350mm and 32mm thick. Laminated. Accessories : 8" Mortice Lock. Fire Fighting - Sprinkler, Smoke/Heat detector in each flat. Make : Newage, HD, Tycon or Equivalent. Exposed fire pipes with enamel paint. Hi Sanjeev, I think investing in Saya Gold Avenue will be a good choice since property rates for this project have shown appreciation of 51% since the launch and 8% in the last 1 year. Due to the operation of the elevated road connecting Delhi and Raj Nagar Extension and upcoming metro stretch from Dilshad Garden to Ghaziabad, some sort of appreciation can be seen here. As the project is near completion, so investing here keeping a time frame of 4-5 years will offer decent returns on investment. Hi Sanjeev, considering the affordable rates and developed localities with easy access to social facilities, Saya Gold Avenue is a good investment option. The property rates have been on a rise since 2016 and still has good opportunities for further appreciation in the rates owing to the upcoming metro corridor in the locality.